The Supreme Court on Monday issued notice on a string of PILs challenging the Ministry of Home Affairs' order dated December 20 authorising ten Security and Intelligence agencies to intercept, monitor and decrypt "any information generated, transmitted, received or stored in any computer." It may be noted that by virtue of section 69(1) of the Information Technology Act, the Central Government can authorise any agency to give directions to intercept, monitor or decrypt or cause to be intercepted or monitored or decrypted any information generated, transmitted, received or stored in any computer resource, if it is deemed necessary or expedient to do so in the interest of the sovereignty or integrity of India, defence of India, security of the State, friendly relations with foreign States or public order or for preventing incitement to the commission of any cognizable offence relating to above or for investigation of any offence. "In view of 69, the power does exist. 69 was introduced in 2009 and subsequently amended. What have you been doing since then? ", asked Chief Justice Ranjan Gogoi at the outset. 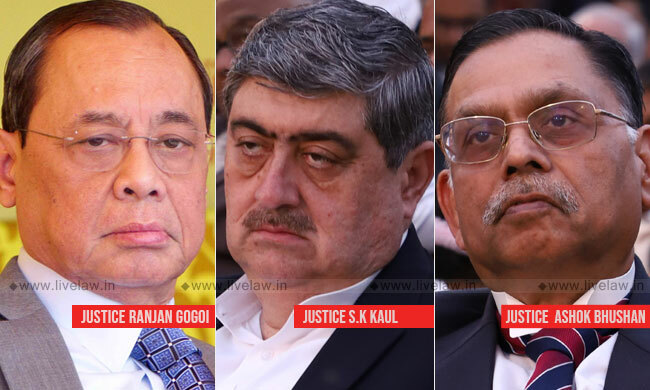 Senior Counsel K. V. Vishwanathan pointed out the 2018 judgment of the five-judge bench of the apex court where Section 33(1) of the Aadhaar Act, allowing the disclosure of sensitive biometric and demographic data upon an order of the District Judge, was read down to allow an opportunity of being heard to the concerned individual, and the Disclosure of information in the interest of national security, made pursuant to a direction of an officer not lower in rank than the Joint Secretary to the Government of India, under section 33(2) was held to be unconstitutional for evading judicial scrutiny. "This is a serious infringement of privacy...some guidelines have to be read into it...", he said. The Ministry had subsequently clarified that the new order "does not confer any new powers" to any security or law enforcement agency, the Information Technology(Procedure and Safeguards for Interception, Monitoring and Decryption of Information) Rules having been framed during the UPA regime in 2009, adding that "each case" of computer interception, monitoring and decryption is "to be approved by the competent authority, which is the Union home secretary"
However, the bench, also comprising Justices Ashok Bhushan and S. K. Kaul, declined to stay the operation of the order in the interim as of now.